This weekend’s live-recorded call in the Dialogue2010 series left me reeling. Ten women scattered in Turkey, the Czech Republic, Italy and four U.S. states came together to discuss mapping the hybrid life, moderated by Rose Deniz. The hour was early for those of us in Europe and Asia so we could catch the late night callers in Washington and California — but that’s not the reason for the ringing in my ears. The 90-minute talk, touching on what we hold on to and what we leave behind and the qualities we rely on to live in several different worlds at once, was so resonant it felt like being part of a carillon. Bells were going off with each speaker’s comment, one percussion setting off the next. We represented wildly different notes: a Third Culture Kid with a parent in the United Nations who grew up on airplanes, the daughter of Turkish emigrants in New York who was thrilled to start school and join a wider community, a Dutchwoman grappling with a new size of the world in the Pacific Northwest, an American who suspected she was destined for something far outside of her Midwestern suburbia but didn’t know exactly what until she went to China. A surprise chord struck during the call: we all write and do other creative work, and everyone credited this self-expression as a survival tool, a way to process the high-definition drama of hybrid life. I wonder about this breed of kindred spirits: were we born with some kind of hybrid gene? Obviously predisposed to compassion for other cultures like the Turkish emigrant, or more subtly drawn to the exotic like the suburban Midwesterner? What comes first, the hybrid self or the hybrid life? Are our most resonant peers made or born? This week at a global nomad dinner party — guest list drawn up virtually by a mutual friend who met the diners all over the world — I had the pleasure of chatting with an artist and his architect wife. Seattle-area residents, they spend a third of their time abroad in places like Kerala, India and the Neapolitan island of Procida, creating public art and advising governments on historic preservation and ways to make it a sustainable choice. A year before I moved to Penang, the couple was based in that Malaysian state. Patricia worked with local officials on a conservation plan for the Georgetown city center, a collection of vernacular architecture unmatched by other Southeast Asian nations making it a candidate for UNESCO’s World Heritage status. 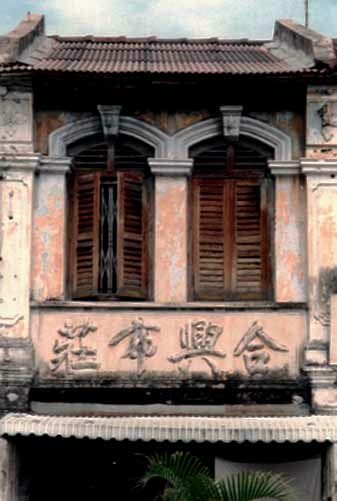 In modernizing, hot-to-trot Hong Kong, Shanghai and Singapore leveled most of their shophouses. (The New York Times highlights one Singapore restoration this week.) She inventoried a thousand shophouses. These two- or three-story rowhouses mostly built between the 1890s-1930s with a shared five foot-wide covered arcade were both places of work and home, ensuring 24/7 vibrancy in the tropical port city. To me, shophouses embodied the equatorial island’s melange of cultures and its exotic mercantile history. I marveled at the crumbling lime facades and the multilingual signs that reflected the city’s waves of traders, immigrants and British administration. A native majority saw $$ in tearing them down, so openly loving these decrepit structures under threat was my foreigner quirk. From the Chinese came the courtyard plan, the rounded gable ends and the fan-shaped air vents; from the Malay came the carved timber panels and the timber fretwork; from the Indians, urban construction techniques, including a hard-wearing plaster; from the Europeans, French windows and decorative plasterwork. How does architecture influence your understanding of a place, its people and history? Expat Harem has a new global niche. 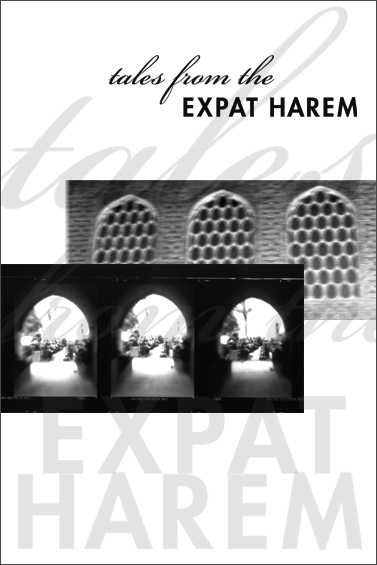 The Expat Harem — a concept I coined in 2004 with Jennifer Eaton Gokmen and brought to life in 2005 and 2006 in the foreign women in Turkey anthology Tales from the Expat Harem — has always been about a modern and virtual community of cultural peers. Now the (softly) relaunched ExpatHarem.com is expat+HAREM, the global niche and aims to bring its community to life online as a neoculture hub for global citizens and identity adventurers as well as travelers and culturati, fans of the anthology, and Turkophiles. Re-imagining the role Expat Harem plays in the cultural conversation, this new venture acknowledges the permanent liminality of today’s multicultural, global existence. Like the nation of Turkey itself — its struggles are both personal and universal, self-perception East yet also West, looking toward Europe or Asia, ancient empire persisting under the surface of new republic. In some small or large way, all of us are coming or going, crossing threshold after threshold but never arriving. I’m looking forward to engaging with you about the crossroads and dichotomies of our hybrid lives…. COLLABORATION WELCOME: Guest contributors are invited to make this global niche their own. Peruse the (very basic) guidelines. 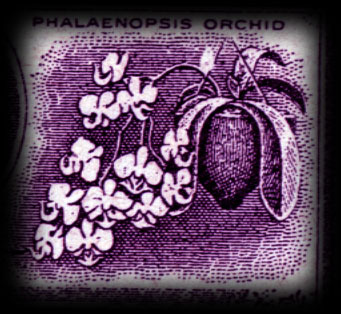 I’d been on the move for a decade when I reviewed Pico Iyer’s Tropical Classical for the Far Eastern Economic Review, Asia’s pioneering newsweekly magazine closed by its owner Dow Jones this week. Iyer’s a travel writer, Third Culture Kid and global nomad, an ethnic Indian raised in California, settled in Japan. He reasoned in his 1997 collection of essays about society, culture and the human spirit that if nowhere in the world is home, all the world is home. The happy syllogism — or is it rootless predicament? — resonated with me as I jockeyed for a foothold in Asia. I wondered if my acclimation was helped or hindered by a progressive Western upbringing laced by traditional Eastern influences: Kodokan judo instructors, Asian-American summer camps, ‘Asian-cluster’ classrooms. I knew far too much about the East to ignore it for my Western convenience but that didn’t make me Asian. Where I’ve lived has made the world more accessible but leaves me craving opposing aspects of other places and other mes. New York, California. East, West. Country, cosmopolis. Even though 2009 marks the longest I’ve stayed in one spot for 20 years Istanbul won’t remain my base forever. How have the places you’ve lived defined you, and shaped your idea of home? Do you feel at home now? Happily at home in Istanbul in 2007, I flipped through Unsuitable for Ladies. Edited by Jane Robinson, this anthology of female travel writing crisscrosses the globe and stretches back into ancient history. Complete candy for me. Around the same time I was ruminating in an essay for a global nomad magazine why I’ve come to employ a defensive strategy for my expatriatism. Sense of self is my most valuable expatriate possession. During my first long-term stint overseas in the ’90s my boundaries were over-run by circumstance and culture. Language and cultural barriers prevented me from expressing my identity. I’d tell Malaysians I was a writer. They’d reply, “Horses?” I was mistaken for a different Western woman in Asia. A crew of Indonesian laborers working at my house wondered when I was going to drink a beer and take off my shirt. Like leather shoes and handbags molding overnight, expat life on the equator made me feel my sense of self was decomposing at time-lapse speed. She compiled Wayward Women, a survey of 350 female travel writers through 16 centuries so her conclusion about Southeast Asian travelers is drawn from a massive canon. In that moment, my hardest-won lessons of expatriatism felt vindicated. Travelers and expats: What happens to your unique experience if you consider yourself part of a continuum?